What is the World Schools Golf Challenge? The WSGC is an international tournament created for high school golfers of all golfing abilities to test their skills and develop their game against other college golfers on golf courses around the world. Why was the World Schools Golf Challenge created? It is well known that young elite and low marker golfers are well catered for with international tournaments but there was no international team event with an individual and team element that also incorporates middle to higher handicap golfers. The WSGC is a unique, once in a life-time experience for high school golfers, their coaches, teachers and families. The organisers policy is one of inclusion – there are no qualifications required beyond being a member of a school team, having a recognised golf handicap, a love of the game of golf and a desire to meet other college golfers and experience what the host countries have to offer. Is there a maximum handicap for the tournament? The maximum handicap is 21. Players on handicaps higher than 21 have to play off 21.
Who organises the World School Golf Challenge? The WSGC was created and is organised by Vintage Sport & Leisure Ltd from offices in Auckland, New Zealand. The tournament management team includes people with great experience in organising golf and golf. 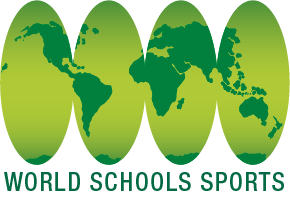 Who can play in the World Schools Golf Challenge? Any high school with 4 golfers can enter a team in the WSGC - immediate past pupils are also eligible. Is entry limited to one team per country? No! Any school from any country can enter as many teams as they like. Teams constitute 4 players and can be made up of boys, girls or a mix of boys and girls from the same school. As the best 3 scores count each round a team of 3 can play. Who handles the tournament accommodation, transport and tours? Vintage Sport & Leisure appoint a tournament ground operator who is responsible for providing teams with a variety of accommodation, tours and transport options. Are there any age restrictions to participate in the tournament? Team members must be aged 13-19 years and current pupils or immediate past pupils of the same school. Is there a programme of activities for parents and teachers? A range of golf and local tour options will be provided for supporters travelling with the team. The WSGC is a 72 hole teams and single stroke – nett and gross event played over four days at local host clubs. The individual competition features 4 divisions (based on handicaps) for boys & girls with gross and nett champions in each division. The team competition (boys, girls and mixed) is based on teams of 4 with the best 3 scores each day counting towards nett and gross results. Four rounds of golf at the selected host clubs. A welcome package of local information on arrival. The Opening Ceremony and a Welcome Party which includes unlimited soft drinks and fruit juice and a meal. The 3-hour Prizegiving Dinner which will include entertainment, the tournament prizegiving, unlimited soft drinks and fruit juice and a substantial buffet meal.